The festive season can be financially taxing and it’s easy to let your holiday spending get away from you. To become more conscious of our habits, we’ve unpacked 5 psychological reasons behind December’s spending surge and outlined practical tips to prevent even more excessive spending. We outlined how our emotions affect our spending and the same can be said for the weather in December. According to scientific studies, increased exposure to sunlight puts us in a better mood, making us more likely to spend (and spend more per item). Summer days are also longer which means even more opportunity to exercise our wallets. To add to that, the heat could see air cons, fans and pool pumps working in overdrive – clocking up electricity bills. Finally, a change in season leaves us longing for a change in wardrobe. You know, moving away from the hues of autumn to beach-ready bikinis, board shorts and bright colours? You’d have to be a Grinch to resist the shiny decorations, catchy tunes, delicious smells and festive nibbles, right? The festive season demands a festive spirit. But often, we use this jolly season as an excuse to live large and splurge on things we wouldn’t usually. Shopping centers, online advertising, TV and radio stations blast the seasonal songs that fuel this festivity and keep us feeling happy-go-lucky and ripe for spending. This can have a direct effect on our brain’s pleasure centre and influence the satisfaction we get from the “thrill of the buy” when our brains are flooded with dopamine. In December there’s even more of a heightened pressure to keep up with the Joneses, their Christmas tree, their festive table spread and their gifts. Hosting a dinner party can get very expensive very quickly if you’re trying to live up to the standards or decorations, matching candles and crackers. Family can add extra stress if there’s a competitive streak among you. Many shoppers also believe it’s more important to spend money on loved ones than it is to stay within a budget – but who wins at the end of the day? People have higher expectations in December – for themselves, their hosts and their Instagram feeds. Isn’t it strange how many once-in-a-lifetime deals crop up around December? The festive feeling also has a subtle way of telling us that we deserve to treat ourselves more than ever in December and things like “free shipping” and “limited time only” become ever more popular. Retailers are excellent at influencing us with a false sense of urgency so we spend more than we should and feel “lucky” for doing so. Retailers also have little helpers in the form of kids who help to ensure that mums and dads deal with the choice of a tantrum in aisle 5 versus a quick splurge. This is achieved through (even more) careful product placement. To add to this, the many in-store distractions can all amount to cognitive overload which leads to snap decisions where we opt for the easiest options, not the smartest buys. Shopping malls can also get hectic in December and quickly become breeding grounds for stress. We tend to have very short fuses so in order to avoid time spent in a shopping center, we “panic buy” and opt to go for the first thing we find so we can pay and get outta there a.s.a.p. (even if there may be a cheaper alternative just two doors down). Another predicament shopping-under-pressure presents is a hoard of white elephant gifts that are received or given but not used or needed. Use these 4 Tips so make the spending in December a bit less difficult. TIP: Get outdoors and have fun doing low-cost activities like hanging out at the beach, hiking or picnicking in the park. TIP: Save time and money with a “bring and share” approach. It will add to the festive spirit, create an interesting table spread and everyone will feel included without having to do too much. TIP: Budget for each person’s present and be disciplined with how you allocate your money. 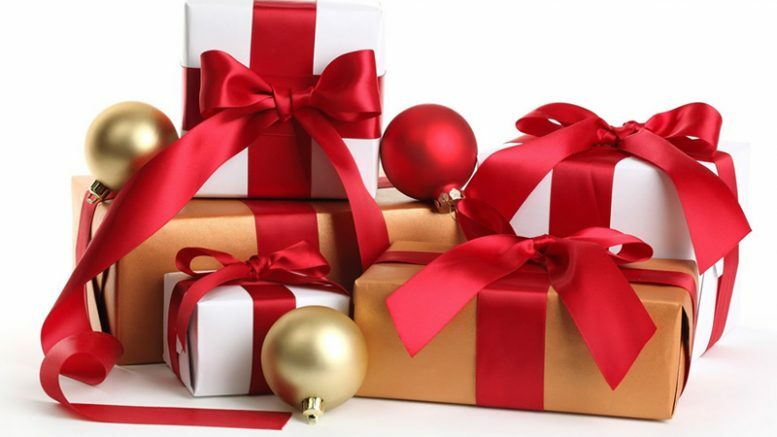 It may help to put money in envelops for each gift and leave your credit card at home. TIP: Plan your shopping in advance. Make a list of who’s getting what and map out the right places to get their gifts at the best price. Be the first to comment on "Why You Really Spend More in December"